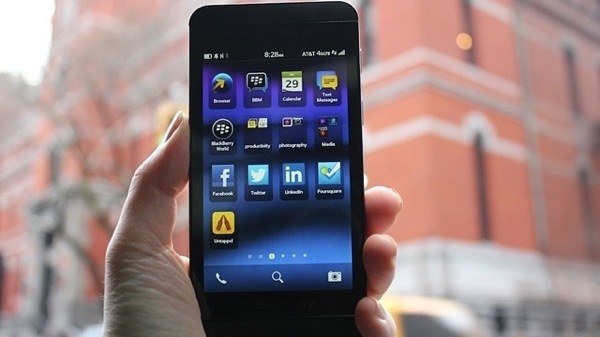 Blackberry CEO Thorsten Heins has said his company generated a tidy little $98 million profit on sales of 6 million smartphones, including more than 1 million Blackberry Z10s, the smartphone maker’s flagship device. But there’s even more good news in the details of today’s announcements. Again, the Canadian smartphone maker sold 1 million Blackberry Z10s, which is solidly above the analyst consensus of 915,000 units. Further, of this number, 55 percent of buyers previously used a differennt smartphone brand/platform. No, the company hasn’t said which specific platform “donated” the most users (likely Nokia’s Symbian? ), but the number of switchers is nonetheless robust. “Customers love the device and the user experience, and our teams and partners are now focused on getting those devices into the hands of BlackBerry consumer and enterprise customers,” added Heins.